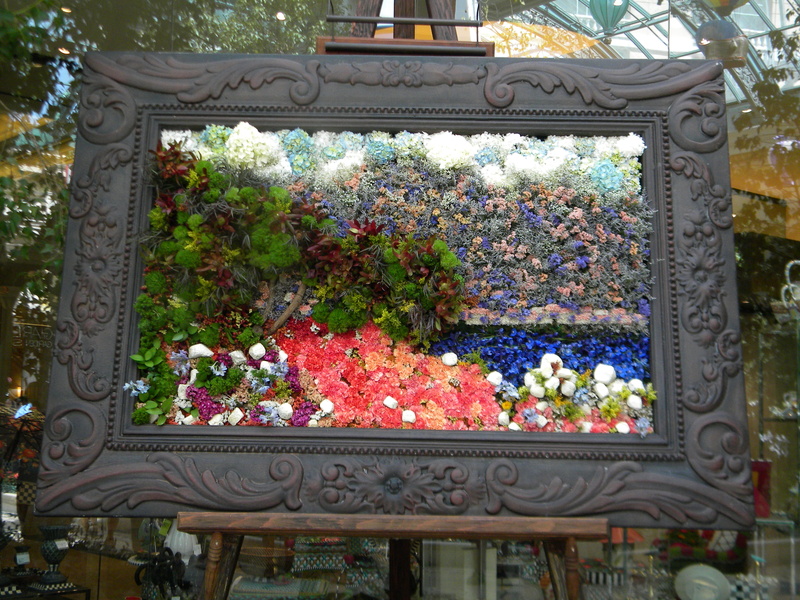 This picture, found at the Botanical Gardens this month in the Bellagio Hotel in Las Vegas, is made of real plants and flowers. When I stumbled upon it, I found it amazing. Imagine the time, thought, and energy it took to create something so unique and beautiful. The Garden was a creative playground of flowers and plants. Lady bugs, bees, and butterflies were abundant here as in any good garden. 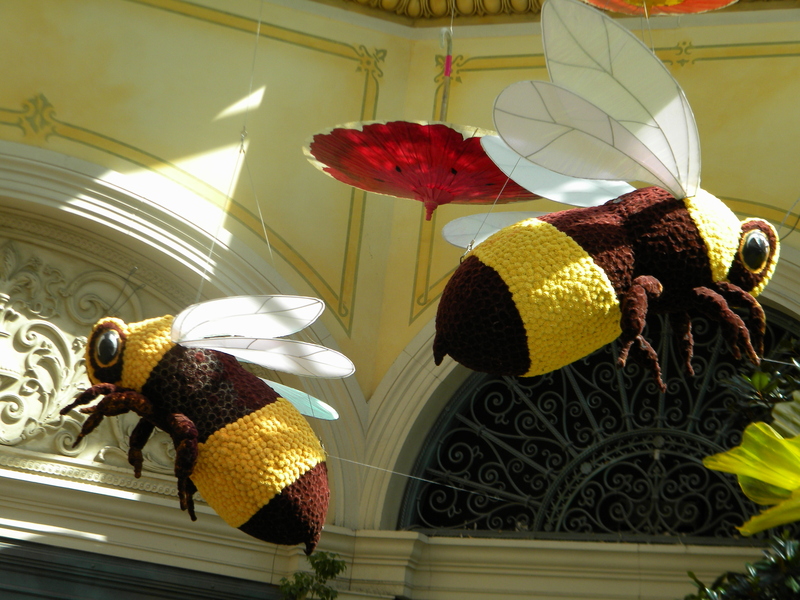 Posted in Words of Wisdom and tagged bees and butterflies, Bellagio Hotel, bellagio hotel in las vegas, Botanical Gardens, creative playground, Lady Bug, Las Vegas, nature, postaday, Real Flower Picture, travel, Weekly Photo Challenge- Create. Bookmark the permalink. We were just in Vegas (we live fairly close…7 hours drive) and went to the Bellagio and Caesar’s gardens. They always do such amazing and creative things. 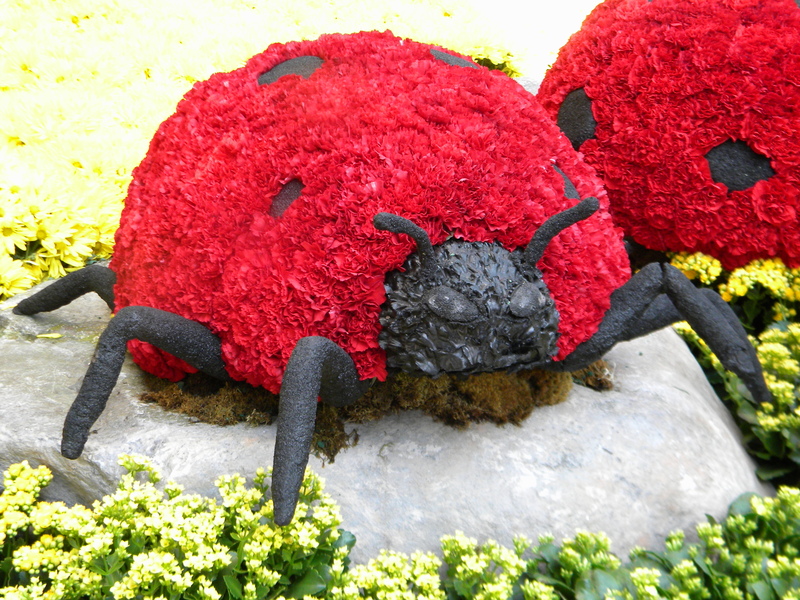 Even the floral and other displays in the Bellagio walkways are stunning. It is a really neat garden. I haven’t been in about three years, but your post reminded me that I need to dig up my photos of the UNLV campus and scan those on my hard drive. The campus is actually designed as a botanical garden, so next time you go… take a trip down Tropicana Blvd and check it out. WOW! that’s the prettiest picture I’ve seen! Can’t image how much time it took to create this “garden” using real flowers!